Founded by our favourite flame-haired bombshell, beauty editor and social media influencer Allison McNamara, MARA harnesses the incredible nutrient powers of the sea to bring the benefits straight to your complexion. Brilliant for all skin types, this Universal Face Oil is brimming with age-defying algae, plankton extract and four superfood plant oils to replenish and hydrate dry, tired skin. Visibly reducing fine lines and wrinkles and quenching your skin’s thirst, this will leave your complexion youthful, healthy and hydrated – get ready to #SeatheGlow! The brainchild of Instagram star and beauty editor Alison McNamara, this Universal Face Oil is all you need for bouncy, glowing skin. Brimming with age-defying ocean extracts and superfood plant oils, it replenishes and hydrates dry, tired skin and transforms it with enviable radiance. 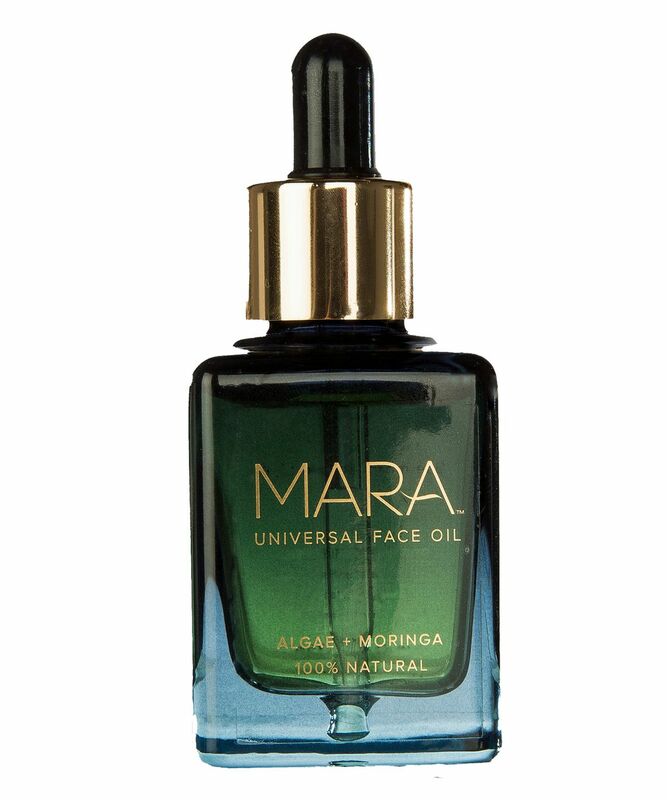 Rich in essential fatty acids, MARA’s proprietary algae-plankton blend plumps up the skin and fights free radicals while improving the appearance of tone and texture. Nutrient-rich plane oils – moringa, bilberry, baobab and Kalahari melon – soak your complexion with phytonutrients, antioxidants, vitamins A, B, C, D, E and F and minerals to quench and nourish thirsty skin and visibly reduce fine lines and wrinkles. Natural and non-toxic, there’s nothing not to love about this versatile oil, which can be used day, night or as a midday pick-me-up, or even combined with make up to keep it fresh and glowing all day long. Apply a half dropper full daytime, night-time, anytime to clean, dry skin for instant hydration. Use midday as a pick me up for tired dry skin, or combine with makeup to stay fresh and glowing all day long. Can be used instead of moisturiser. This is my favourite face oil! It dries into my skin quickly, with no greasy residue and doesn't break me out. My skin is left with a lovely glow after using this, so much so that I often find myself able to skip foundation all together when using this. Wouldn't be without it! I got a sample of this face oil and as an skincare addict I am really used to a lot of similar products but this one is surprisingly well sinking into my skin leaving it nourished and hydrated but not greasy. The smell is decent and nice. I am looking forward to an long term experience and I think I am gonna pick a whole bottle with my next order. Can’t say my skin looks or feels any different from using this. Definitely not worth the money. My sister has purchased it also and won’t be buying a second bottle. So wonderful on my super sensitive skin, no harsh smell and left my skin feeling nice and moist( sorry! ) I use it Day and night, and under makeup for a gorgeous glow! I LOVE MARA Universal Face Oil so much I'm now making my husband use it. Best my skin has looked in a long time, after only three days. Asked the hubby to get it for me for holiday and just received it. I never really feel compelled to write a review but I'm blown away. 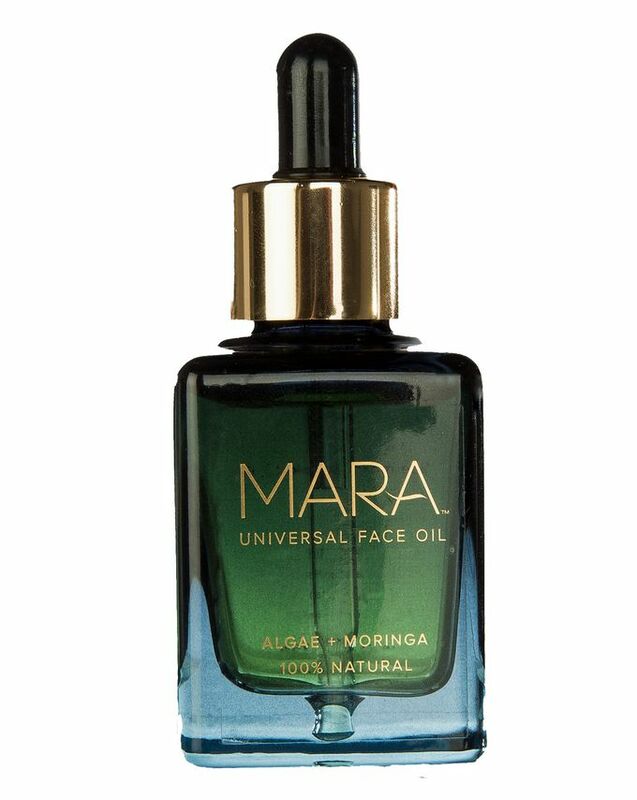 I am obsessed with my Mara Universal Facial Oil. It leaves my skin so soft, hydrated and dewy. I have sensitive skin and am usually hesitant when trying oils, but I have been recommending this one to all my friends. I thought the African Botanics Marula oil couldn't be matched but this leaves my skin as silky and hydrated. I've just got back from a holiday with Harsh Sun at high altitude and I'm currently using this as a repair. Really recommend if you have dry skin and don't want a really greasy finish. This is silky smooth and smells divine. Received this wonderful oil for my birthday after seeing it on Instagram! My skin feels very moisturised and I’ve noticed less pimples too. I learned to avoid oils on my face in the past because they often felt/wore heavy & seemed to always clog my pores. Then recently I had a friend introduce me to this Mara oil & thank God she did, because it has totally changed my mind & experience! As a mixed girl w/ naturally oily skin, this is the one oil that doesn't feel like it makes me more oily because it wears super light, yet it still keeps you moisturized all day, & multiple days of back-to-back use only makes your glow go stronger. Stoked to have a new beauty staple & to leave traditional moisturizing lotions behind! Plus it's super pretty to leave out on your bathroom counter. This is hands down one of the most hydrating face oils I have every used. I received it as a gift and it completely transformed my skin within a week of using it. I noticed less blemishes, plumper skin and it's so hydrated. I have even stopped using my other moisturizer because of this, and just use the Mara oil. Will definitely buy again when I run out. For me this product is a reminder that expensive doesn’t always mean it will give amazing results. I got this oil for day time wear mostly as I’m really happy with my night products. I find this product just sits on my skin, it doesn’t soak in (and I just pat on the smallest amount) and my skin still feels dry and tight underneath after cleansing. It mostly ends up on my fringe and on my pillow (when I’ve used at night time). I’ve started to mix it with my moisturisers and make up simply to use it up. It wouldn’t be a product I’d purchase again. I’d love to know what other people think of it. Is it just me? Maybe it’s just not for my skin but works for others which is ok.